If you are worried that you may be at risk of developing Alzheimer’s, suspect that a loved one may have the disease, or simply are looking to learn more about Alzheimer’s, you’re in the right place. Let’s discuss the basics of this disease now. Alzheimer’s is a neurodegenerative disorder that can affect memory, speech, motor function, and a wide variety of other parts of the brain. It starts slowly, and worsens over time, ultimately leading a variety of cognitive disabilities, and death. Though progression varies for each person, the usual life expectancy following diagnosis is somewhere between 3-9 years. Dementia is a catch-all “umbrella” term for a wide variety of different memory issues and cognitive problems. 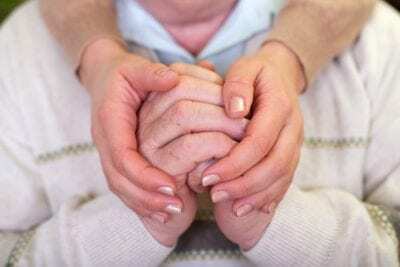 Think of it this way – all Alzheimer’s patients suffer from dementia, but not all dementia is caused by Alzheimer’s. Dementia can also be caused by the natural aging process, Huntington’s Disease, Parkinson’ Disease, and Creutzfeldt-Jakob disease, among others. What Are Potential Signs Of Alzheimer’s? There are many potential signs that may indicate an older person is developing Alzheimer’s. If more than one of these symptoms is found, Alzheimer’s may be present. Are There Any Treatments Available For Alzheimer’s? No – at least, not to cure or prevent the disease. The method by which Alzheimer’s affects the brain is still unknown, and there are no drugs that are currently on the market which can prevent the disease or halt its progression. However, there are some treatments that may help slow down memory loss and other issues related to Alzheimer’s. The FDA has approved two types of medication – cholinesterase inhibitors and memantine – to treat the cognitive problems associated with Alzheimer’s, like memory loss, confusion, and reasoning issues. Other medications can be used to treat symptoms of Alzheimer’s like difficulty sleeping, and there are many alternative therapies that, while they may be effective, have not been approved by the FDA, or clinically verified as helpful. There is also evidence that a healthy diet, exercise, and lifestyle could help slow down the progression of the disease. Alzheimer’s is a serious problem in America, and as the population ages, more and more people will begin to suffer from this chronic, neurodegenerative disease. If you or a loved one may have Alzheimer’s, here are some more additional resources that can help you understand the disease.